You think that all librarians do is stamp out books and tidy shelves? Think again… Click on one of the links below to read about all the different projects that school librarians are involved in around the UK. One important area for us is Reading and Literacy development – not only do we help students find a great book to read but many of us also support our students with wider literacy: reading, writing, speaking and listening. We organise book and reading events where the whole school takes part, Book Weeks and author visits. Another important aspect is shadowing book awards, such as prestigious Carnegie and Greenaway medals. One school even shadows the Booker prize with their sixth form A Level English pupils. Here, you can read about how we work with teachers to support teaching and learning in our schools. Through collaborative projects, we can really have an impact on our students’ achievements. We also work on developing Information Literacy (also often called research skills and study skills) to help our students become true independent learners. Many of us are able to work with the Extended Project Qualification and the International Baccalaureate. Many of us are also involved in training and presenting to teaching staff, or leading INSET days, in many different areas. School librarians also make a contribution to revision and study skills, and you can see an outstanding contribution here. Primary school libraries give students an important start in life – supporting reading and the development of early research skills. Very often, librarians are at the leading edge of technology development in their schools. From the early days when the first computers came into school, colleagues have embraced change and have supported teachers and students in using technology to enhance teaching and learning. We are now developing virtual libraries that are open 24/7 for our school communities! 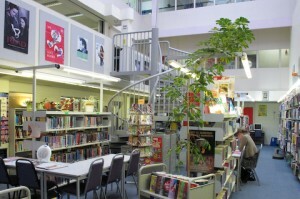 Other librarians work on online collaborative projects with teaching staff and pupils. Librarians often have presentations which they share in school and more widely, and you can see some of them here. School librarians are also involved with helping students during the Transition from Primary to Secondary Education and also with their move on to Further and Higher Education – we can really make a difference here! One colleague is also making a difference by inviting pre-school children into her library, in a great new initiative. It is also important that we encourage students to use their local Public Libraries and a lot of work goes on in this area. School librarians in secondary schools do a lot of work with primary schools, who often do not have a librarian of their own. Projects with primaries range from allowing primary school pupils to borrow books as a class, helping with projects, arranging author visits, and more integrated curriuculum work. Some schools have even devised dedicated Book Awards to include their primary partners. We also have an account by one school librarian on what it is like to be a judge of one of the major teenage book prizes. Some exciting special projects and events also take place, such as Write Path, a fantastic example of international collaboration! Another event is Local Book Awards, which groups of school librarians, often working with public libraries or school library services, host every year, putting lots of time and effort into enthusing pupils to choose books relevant to them. Some schools have Book Weeks, or even fortnights, dedicated to enthusing pupils about books and reading. A group of school librarians in Scotland even started up their own reading magazine – Teen Titles – which now has subscriptions all over the world!